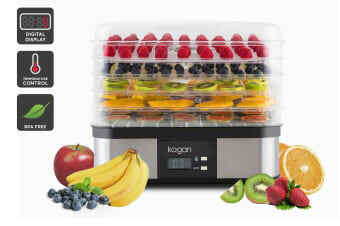 Make delicious dehydrated snacks and free up space in your cupboards with this electric food dehydrator. Preserve food and create natural, healthy snacks with the Kogan Electric Food Dehydrator. Dehydration removes moisture from food, allowing you to use the dried food at a later date. Unlike salting and smoking, dehydration adds no flavours. While canning only preserves 20-30% and freezing only keeps 40-60% of the food’s nutrition, dehydration can preserve up to 97% of the original nutrients when done properly. 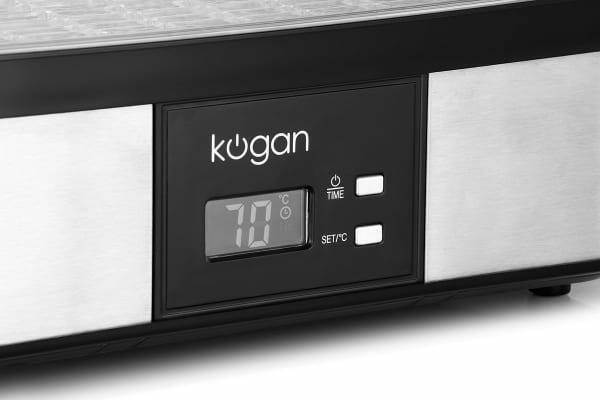 Easily adjust temperature settings on the LCD display to dehydrate a variety of different foods including fruits, vegetables, nuts, herbs and more! 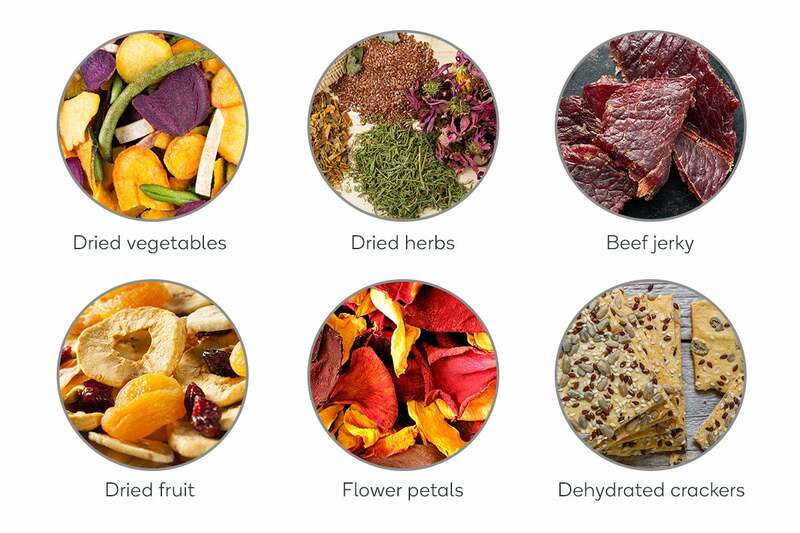 Create big batches of delicious snacks or dehydrate multiple foods at once with 5 dehydrating layers. Made from a durable, transparent plastic, it’s easy to track the progress of your food. Set and forget cooking for worry-free meals. I like the shape and the ability to store convently. Easy to clean. Although it takes so long to dry fruit, it’s fun and it makes you feel you are doing good to your health.